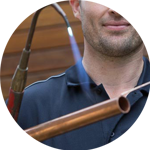 The Handy Squad have a team of highly skilled and reliable plumbers currently operating within Holborn. 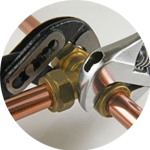 Within the area, we have managed to successfully undertake a wide selection of plumbing tasks in both commercial and domestic buildings for over a decade. 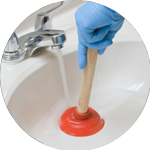 In that time, our team of plumbers have managed to build a reputation for high-quality plumbing services. Our team of plumbers have an unrivalled level of expertise and knowledge when it comes to anything related to plumbing. 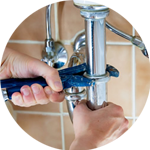 Your Plumber in Holborn will be able to offer assistance with; Replacements, Unblocking, Installations and Repairs. Holborn is a district located within the London boroughs of Camden and City of Westminster. The area plays host to the headquarters of supermarket chain Sainsbury’s. As well as plumbing in Holborn, The Handy Squad is proud to offer a wide variety of exceptional trade services. We also have a Handyman in Holborn, who will be able to draw on their years of DIY prowess to complete generalised tasks such as Flat Pack Assembly and Tiling. If you have any electrical tasks that need to be completed and feel apprehensive about getting involved with potentially dangerous equipment or apparatus, we have a team of dependable Electricians in Holborn. They can guarantee that any task will be completed both safely and securely every time. They will be able to help with things like Replacements and Installations. To book your handyman, electrician, decorator, carpenter or plumber in Holborn, fill out the Online Booking Form.